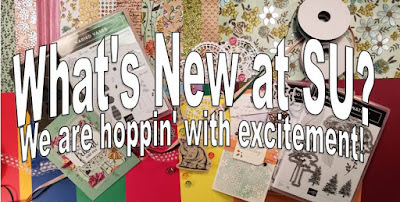 It's almost time for the New 2018 Holiday Catalog to launch, so this month on the What's New at SU blog hop, we are showcasing some of our favorite new products to help you get excited for the holidays. 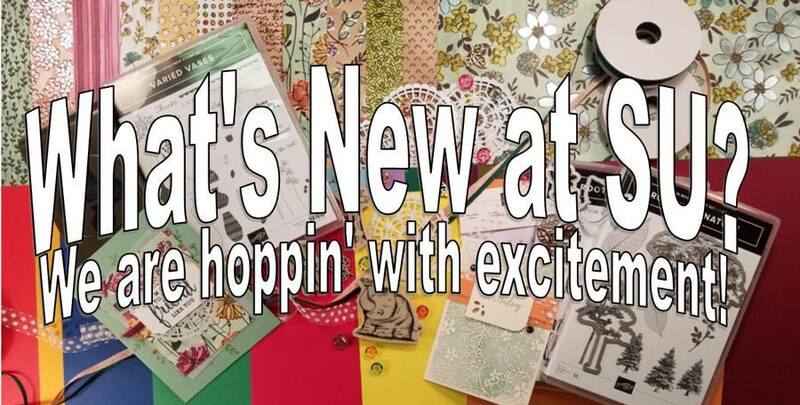 As you travel along our blog hop, you will be visiting Stampin' Up! demonstrators from all over the world as they share their wonderful creative projects. You may have just visited Ginny's blog or perhaps you are starting your journey here. I hope that you will be inspired by the creations we share today. Today I am sharing the Cauldron Bubble Bundle, which features the Cauldron Bubble stamp set and coordinating Cauldron Framelits. When you purchase these products together as a bundle, you can save 10%. 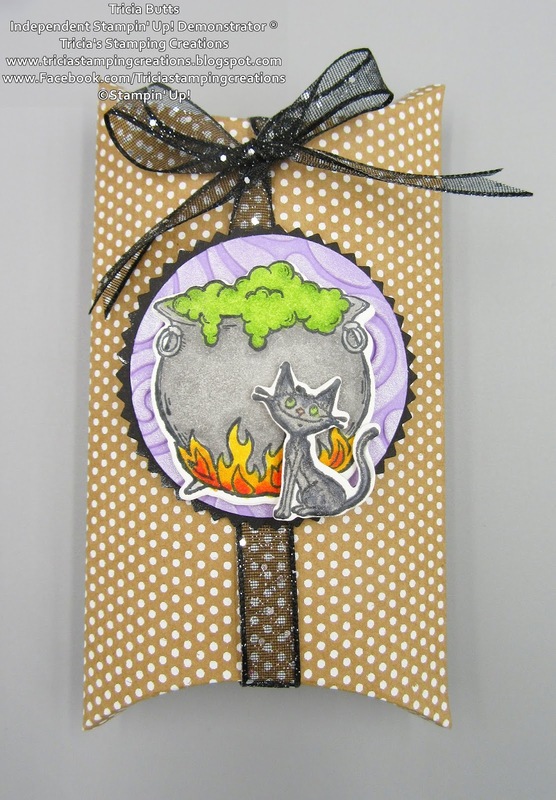 I just love the wonderful images in this stamp set and having the coordinating framelits makes it so much easier to create fun projects for Halloween. The two treat pillow boxes I have created, were so fun and easy to decorate using this bundle. 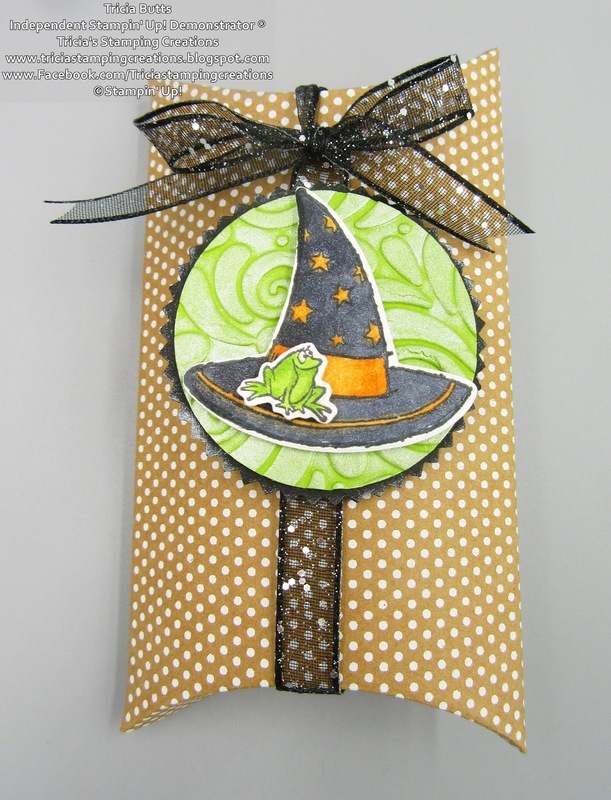 The first pillow box was created using the Witch's Hat image and the adorable frog. I colored both of these with Stampin' Blend Markers, which provide bold, vibrant colors. I layered them onto a 2" circle of Granny Apple Green Cardstock and embossed it using the Swirls & Curls Textured Impression Embossing Folder. I then lightly sponged the circle with Frost White Shimmer Paint. To tie the pillow box closed, I used the Black 3/8" Glittered Organdy Ribbon and tied a bow at the top. I attached the circle to the pillow box with Stampin' Dimensionals over the ribbon to hold it in place. The second pillow box was created the same as the first design, but this time I chose the cauldron image and added the cheeky cat. 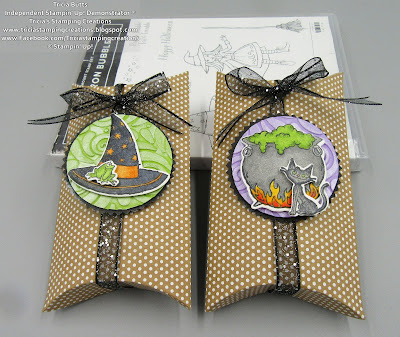 Once again, I colored these images with Stampin' Blend Markers and I just love the way they bring the images to life. For the circle, I chose Highland Heather and embossed it the same as the first box. The ribbon adds a beautiful sparkle to the treat box and I used Clear Wink of Stella on the stamped images to add a touch of sparkle. 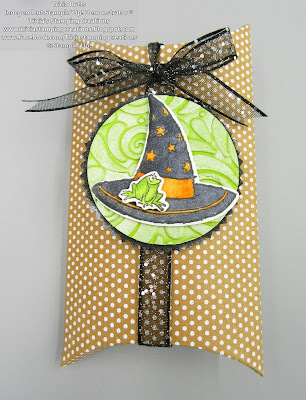 This bundle makes Halloween treats so much fun and I can't wait to explore the rest of the amazing images to find new ways to create projects. The new 2018 Holiday Catalog will launch at 3pm, September 5th, 2018 (Mountain Time). If you don't already have a demonstrator, I would be happy to help you with your order. Now it's time to visit Joyce's blog and see what she has to share with us from the new Holiday Catalog. Just click the Next button below to visit her blog. 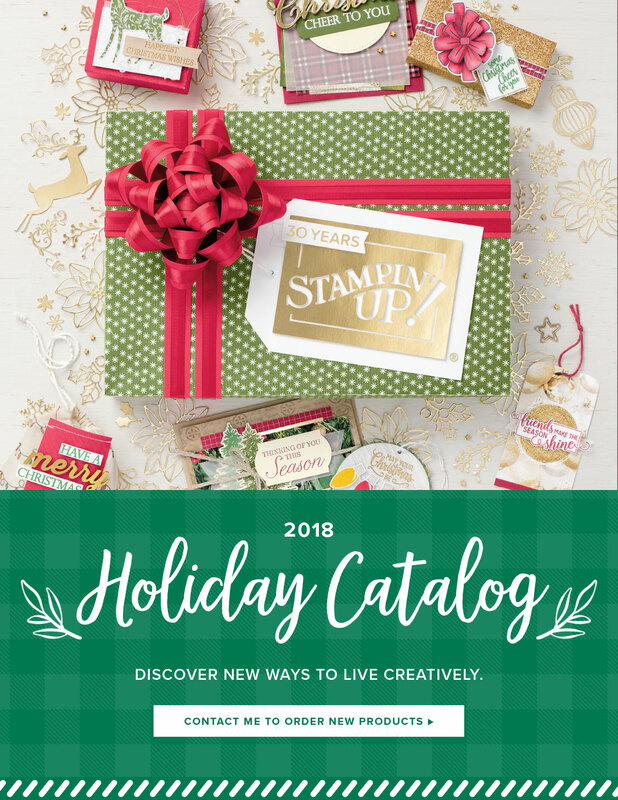 Labels: 2018 Holiday Catalog, Cauldron Bubble Bundle, Cauldron Bubble stamp set, Cauldron Framelit die set. Halloween, Stampin' Up! Gorgeous projects Tricia - they look like such great treats! Clever idea for Halloween treats! So cute! I'm coming to your house on October 31st! I love these. I love making tags and these would be perfect. Thanks. Treats in those pillow boxes will make everyone happy! Love these. Great idea for Halloween treats. Oh they are so cute! Love them!